I’ve been reading a ton of books this summer and finally have the upper hand on my TBR list that extended into early last year. Some were finds in the library that got returned after the three week checkout. The others were mostly ARC’s or freebies sent my way. I also can’t resist purchasing at least one book a month. My local bookstore is only blocks away. So what happens to books that don’t have a return date? No problem. I give the vast majority of them to local schools, libraries, and MG’ers in the neighborhood. I also keep a stack as giveaways for my upcoming blogging anniversary celebration. Details coming soon! This summer I decided to have some fun with a different way to get books into other reader’s hands with my own MG Book Drop. 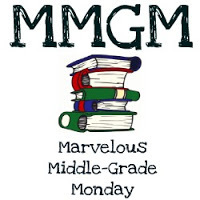 I copied the original author’s MG book drop that occurred last July. This was where authors were encouraged to leave their own books in public place in hopes of finding unsuspecting readers. With none of my own books ready for that event I couldn’t participate. So now I made up my own rules. Yesterday I took two books off the shelf and on my early morning walk (okay, more like the dog taking me for a walk), we hiked to the area activity hub. This is where you find a sand volleyball court, basketball hoops, picnic benches under a gazebo, and a swimming pool. At seven thirty in the morning the squirrels and rabbits outnumber any humans so it was the perfect time to drop the books. 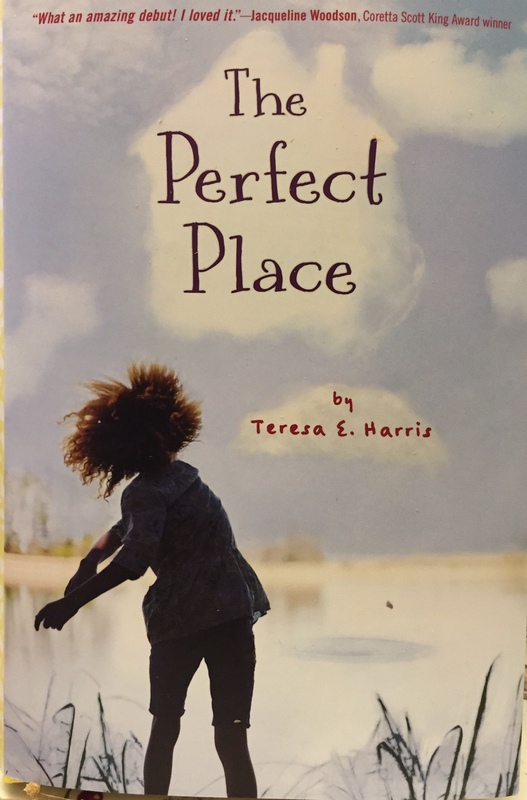 You’ve captured a free middle grade book for ages 8-12. It’s yours to keep or share. As a writer and reviewer of MG books, my shelves have been rather full lately. Yes, I give many away to relatives, neighbors, and schools, but it’s fun to come up with new ways for books to find new homes. All I ask is that you pop this postage paid postcard in the mail so I know the book is in good hands. By 3 p.m. that day the skies looked threatening so I went back to check on the books. They were both gone,. Yea! I hope the postcards get returned, but even if they don’t, I’m going to keep doing a weekly book drop throughout the summer. Happy Reading! 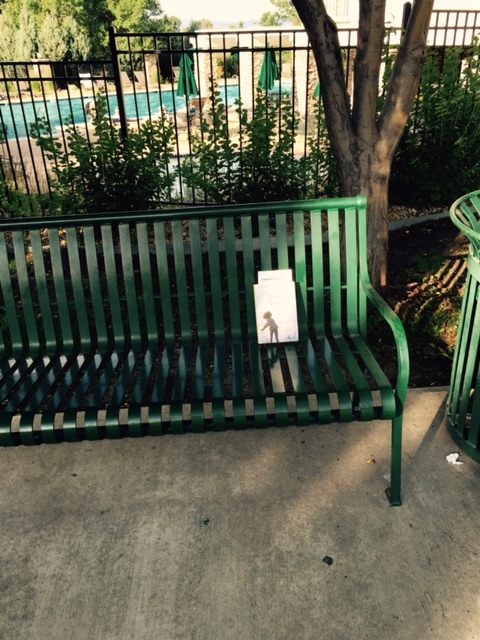 This entry was posted in Reading, Uncategorized and tagged MG Book Drop, Sharing books. Bookmark the permalink. That’s a great idea, Greg. I should do the same. Otherwise I will never get out from under all the books I have. I hope you will let us know if you get those postcards back. What a cool idea. I give so many books away to schools and libraries.Some favorites I keep for gifts to grandchildren and kids I know. But, I still have too many books. Love your idea. Hope you get a response and share it. Great idea. Keep us updated on whether the postcards are returned. what a great idea! can’t wait to hear of the postcards are returned! love this. What a fun idea! I just might try it. Either that or construct a Little Free Library…very tempted! I think I’m going to try this out sometime! Thanks for the idea! Fun idea! I would have been delighted as a kid to find a book with such a postcard inside. I have also left some books at a local little free library, which are a great concept. Definitely going to steal this idea! Wonder if the kids will write a review. In that case, maybe I should leave Canned and Crushed all over Chicago. I’ve been dropping two books every Wednesday and have received four postcard replies. I’ll try and share those in a future post. I’m thinking I might use some ziploc bags. Storming here today. There’s a huge skate park in Grant Park. Lots of kids, killing time. That’s my target! I sort of want to use that as a seeing for a new MG novel using their stories but I might be too shy.